Maybe it was Kathaleen Wall's mousy voice. Or her constant ads coming across your TV. Or her poorly timed gun nut ad right after the Florida shooting with an AR-15. Whatever it was for Wall to come in third place and miss the runoff for the republican nomination for Congress it cost her a boatload of money. About $6 Million to be exact. $6 Million she isn't going to get back. 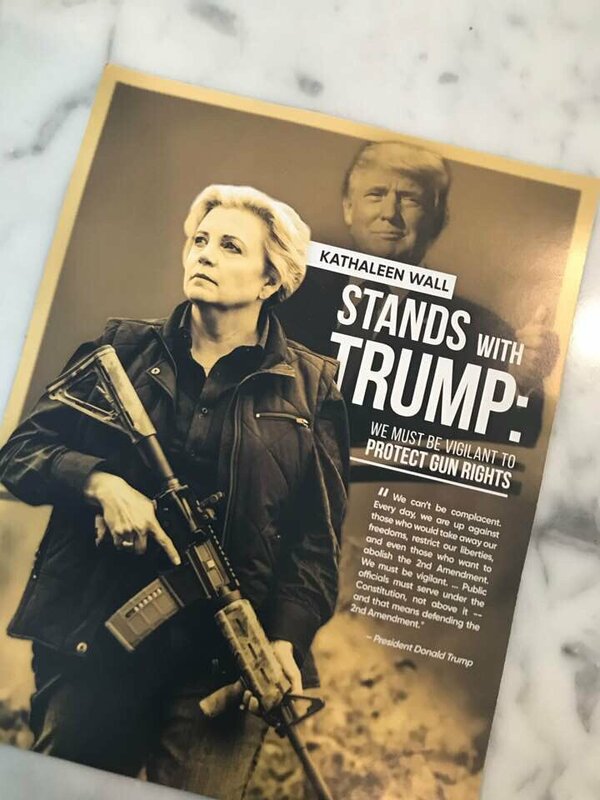 Wall is probably the only Congressional candidate in history to self finance a campaign like she did. She only raised about $10,000 from other individuals so she was basically buying a Congressional seat. Unfortunately the voting republicans weren't buying her. Her opponents used the line "Buying a seat" many times and it probably resonated with the low information voters. Buying a seat in Congress probably did her in but maybe she didn't lie enough for the republicans. Or wasn't perceived to be a racist. Or wasn't an assh*le enough like Trump. Maybe that would have changed their minds but in the end she is out. After all, they do have their limits. Wall was Greg Abbott's endorsed candidate. The $6 million woman. She deserved the loss. So did he.